Generation Zero starts without much pomp. A page of text sets the stage: in 1980’s Sweden the population goes missing while hostile machines roam the land. From there on, you’re thrust into a first-person shooter that, whether played on your own or in co-op, attempts to bring guerilla warfare and atmosphere to the forefront. But while the opening moments show a certain degree of promise, it doesn’t take long for things to begin stumbling. 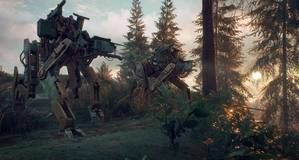 The first few encounters with each of Generation Zero’s mechanical enemies throw you into intense bouts of shooting and running for cover. 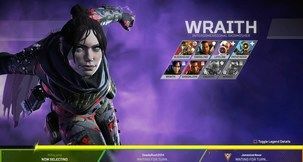 There’s a hefty amount of punch to even the rustiest of weapons and, unless you want to waste your ammo, you’ll scout out and fire at the opponent’s weak points. Robots can easily stomp, shoot, cut or knock you to the ground, which makes landing that perfect shot, and seeing sparks fly out, immensely satisfying. Their weak points aren’t highlighted, further building upon the notion of dealing with a foreign threat. Flares disable targeting systems, noise attracts foes, while gas canisters provide an effective solution against even the biggest of baddies; all of them ways to tip the balance in favor of your small, fleshy self. It’s a pity that the novelty wears off quickly. 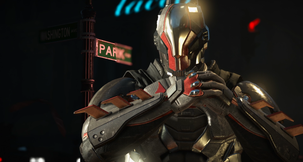 Worse yet, it only takes a few fights to notice that the AI is not only predictable, relying on a few set-in-stone patterns, but also susceptible to cheesing. Buildings are your best friend, as large foes repeatedly shoot at walls, while you peek out a small door to land hits. Sometimes, the AI will choose to not use its rather devastating melee attacks against you, preferring to shoot at an indestructible wooden fence. As imposing as these robotic foes are, they fail to become the ever-present ominous threat they’re clearly intended to be. Rather than instilling dread, hearing heavy thumps in the distance, or spotting moving lights through a dark forest, signal nuisances. That is due to the lack of stakes in Generation Zero. Loot is plentiful and death is meaningless, as it only translates to lost time. 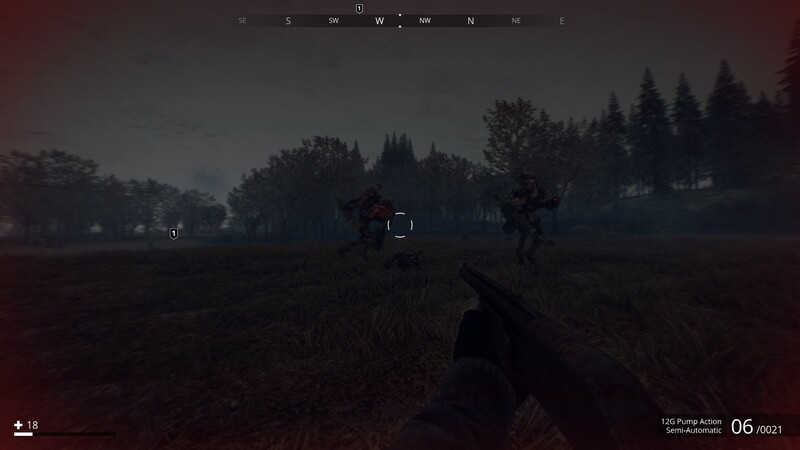 When you die, you can either respawn on the spot with a fraction of your HP –using Adrenaline Shots you’ll have no trouble finding–, or go back to a Safehouse to fully recover. Respawning on the spot often makes mechs forget about you, so fights can easily devolve into clunky slogs as you carelessly dismantle fierce yet ultimately helpless robots. The first time we encountered a Harvester mech –one of the game’s bigger, more fearsome foes–, we took it down by running underneath it, placing an explosive gas canister and luring it into stomping it. While going down in the resulting blast could, technically, fall under the type of guerilla warfare encouraged by the game, simply respawning afterwards as if nothing had happened erases any sense of accomplishment. The alternative approach would have involved a lengthy fight which, while solo, would have been excruciatingly long. Co-op makes Generation Zero much more bearable. While mechs focus on one player, the others can use tools to disorient them or more easily focus on their weak points. But even that grows old once you learn to read opponents. 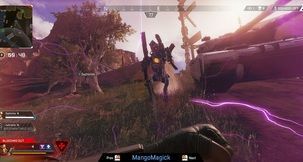 Generation Zero’s quests send you on long walks, in an attempt to have you exploring its large map. Their nebulous descriptions, however, make it so that randomly choosing a point and trekking to it often feels like a more attainable goal. The reward for these quests is almost always a generic pile of loot. Sometimes you might find a weapon or attachments, but freely exploring also yields them. What’s even more disappointing is that quests, and the associated items, reveal very little about what happened to the population. 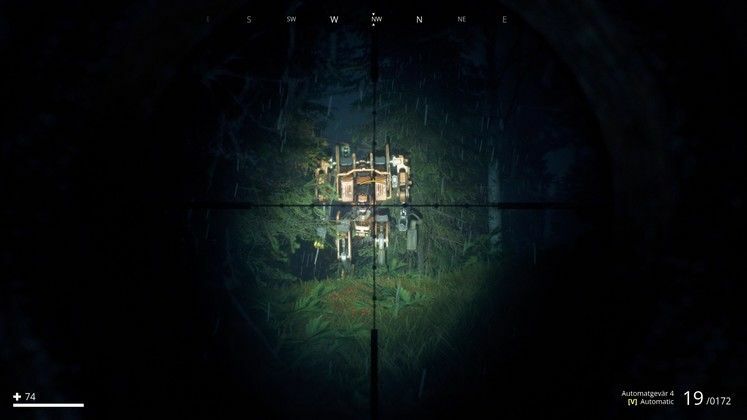 While you’ll find notes and messages strewn around Generation Zero’s many identical houses, the story threads never offer any worthwhile information. The heavy asset reuse is also hard to ignore. As we tackled quests, reaching a location either led to hearing scrambled radio signals or sent us on a trip to yet another house or labyrinthine military bunker to get lost in. Side quests further waste your time, requiring that you find a house, truck or whatever else on a road or hill somewhere. The reward? Generic loot that you’re bound to find anyway. 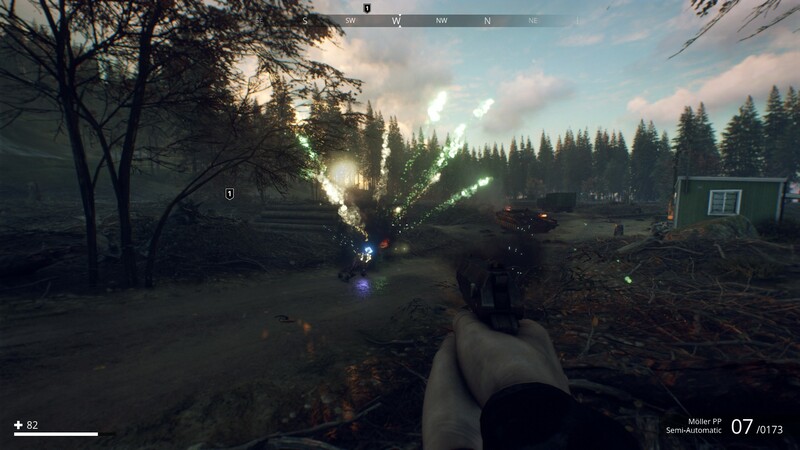 Generation Zero also has a very basic skill system you can dip points into as you level up. There’s some space for specializing, but it largely revolves around bland percentage increases that need a good while to actually be felt. Needless to say, leveling up was never an event after the point of fully expanding our inventory. Neither was picking up the abundant but just-as-bland cosmetics strewn across the world. Our system is an Intel i7-8700k, 16GB RAM, Nvidia GTX 1070 4GB and Windows 10 64-Bit and Generation Zero ran smoothly during our playthrough. Sadly, the game’s horizontal field of view options only range from 50 to 80. While we didn’t have any issues, it may be a concern for some readers. There are a few gorgeous sights to see in Generation Zero but the image quality takes a hit due to a blanket of film grain covering the screen, alongside a surprisingly noticeable blur effect used with distant objects. 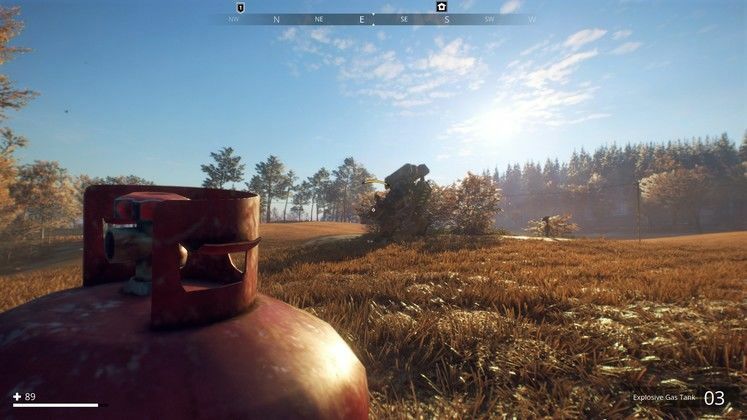 This also hurts the game’s atmosphere, which Generation Zero banks on heavily, given its mostly empty world. Despite its cool concept, Generation Zero feels like an early access title. Stretched thin, its poorly paced gameplay loop consists of lengthy stretches of running through empty locations and gunfights that swiftly turn from intense to tedious. Largely purposeless exploration then intertwines with quests that only set you on further wild goose chases. In single player, things become unbearably frustrating once you encounter larger packs of foes or, indeed, the larger mech variants. 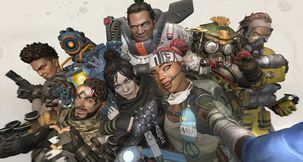 And while co-op is the way to go if you’re hoping for a fighting chance and any glimmer of enjoyment, there’s simply not enough here to keep you going for long. 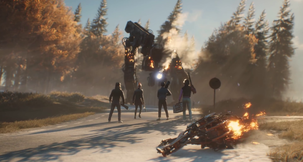 The first encounter with Generation Zero’s robots.